The place where you will find descriptions for Living History Personas for the Flintlock Era. Michael is relatively new at living history, but he has wasted no time developing his persona and making scores of new friends. There are endless reasons why people get into living history. For many, their passion for history is what drives them, and historical reenacting and interpretation provide a way to immerse themselves in history like nothing else can. For others, it’s the comradery they experience with like-minded friends. For others still, it’s the thrill of the battle, getting closer to nature, or simply seizing the chance to take a deep breath of mind-clearing fresh air. Whatever it is that interests you about historical reenacting or interpretation, our first word of advice for you is to decide you can do it. That may seem overly simplistic, but it’s actually a really big step. Too many people have missed out because they didn’t know how to get started, or they felt that doing so was too hard, too expensive, or too complicated. Often the line that one must cross is simply believing that getting involved doesn’t have to be any of those things. Let’s be honest. Living history can be expensive, especially if you go out and buy things you really don’t need. Once you’ve made the decision to get involved, resist the urge to immediately purchase lots of clothing and supplies. Deb and Michael work as a team, introducing people to period cooking techniques as well as other often-lost crafts. 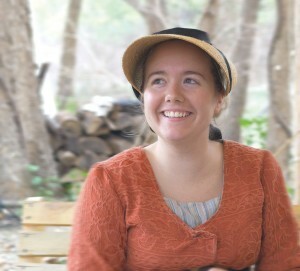 Connecting with other reenactors or interpreters is one of the easiest ways to learn the ropes. Of all the strangers in the world, living historians are probably the easiest people with whom to strike up conversations and forge lasting friendships. You can find them at historic sites and historical events. Knowing where to look for groups or reenactors can be a challenge in and of itself. 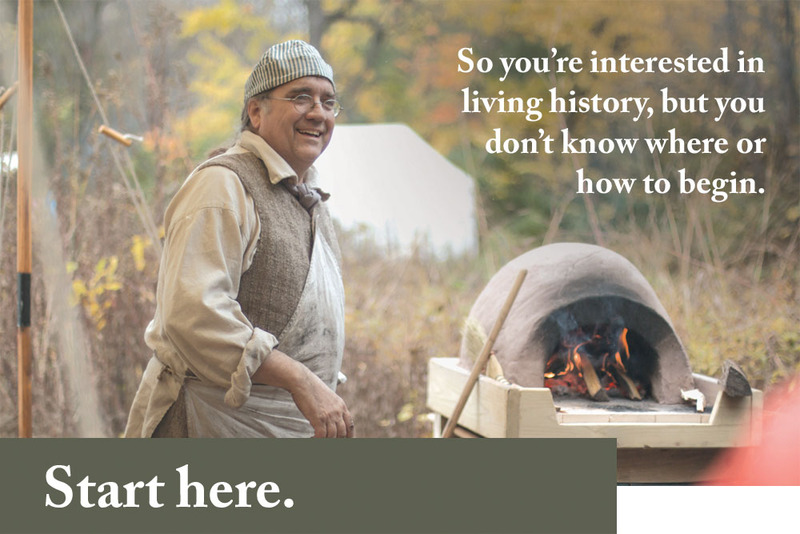 That’s why we’ve launched www.LivingHistoryTimes.com, where we are building an on-going directory of groups, events, historic sites, and living history opportunities across the country, as well as a calendar of events. Brynn portrays a campfollower. 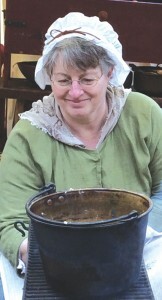 She’s been involved in living history for just a few short years. A “persona” is a character that you portray, either an actual individual (e.g., George Washington) or a type or class of person who may have lived during a specific time period (e.g., a farmer living on the 1780 frontier, or a Rev-War campfollower who may have served as camp cook and battlefield nurse). If you’ve joined a group, there are typically people there who can help you choose a role or persona that fits within the group. Otherwise, our suggestion is to start with something simple and generic. We’ve included over a dozen different persona ideas on this site for both men and women. Peter Goebel has been researching and interpreting for nearly four decades. 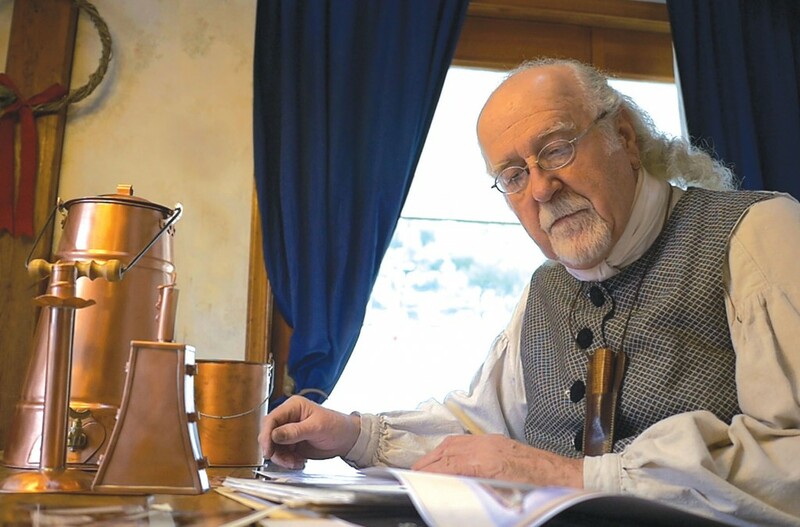 He is a Master Craftsman, rediscovering the lost art of 18th-century brazing and copper smithing. Don’t be frightened by the word! Research and discovery are two of the things that make living history so rewarding and fun! 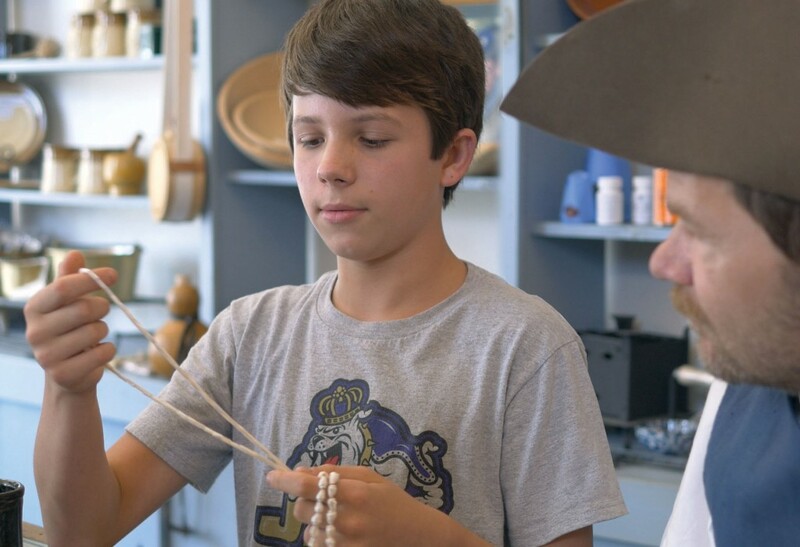 For the avid reenactor or interpreter, young or just young at heart, research is a never-ending process. It’s what makes reenacting such an exciting journey. One reason research is so important, especially for the beginner, is that it allows one to proceed with confidence. The more research that’s gathered to support one’s persona or historical interpretation, the more confidence one portrays. how to begin. We suggest you start by keeping a journal. Another option is to start a blog. Write down your questions. Identify topics in which you are most interested. Take good notes as you talk with other reenactors and start making your own discoveries. There are different types of research resources. A good place to start is with Secondary Resources — research that has been compiled and analyzed for us by someone else. Remember that this kind of resource needs to be backed with Primary Resources. Primary resources are records, articles, evidence, or artifacts from the time period you are studying. If the secondary research we use is not supported with references, footnotes, and bibliographies, then it is really only helpful in asking more questions, the answers to which must be found elsewhere. In contrast, the bibliographies found in some books are in and of themselves worth more than the rest of the books’ contents altogether. There are thousands of interesting topics to delve into even within the fairly narrow confines of the time period we choose to explore. There are scores of resources available for each of those topics. The adventure is simply finding them. Yet, sadly, and for entirely too long, so much of the research materials have been kept secret or stored in vaults in private collections, away from the public’s eye. No single person or organization can honestly claim to have a corner on all there is to know. As a community of historical reenactors and intrepreters, we have the opportunity to remedy this situation by sharing our findings and collective wisdom with each other. Our belief in and passion for this endeavor has become the driving force for us at Jas. Townsend & Son. It’s why we have have dedicated years of effort and resources in our YouTube channel. We hope to do even more in the very near future to make more of our research and our favorite resources available on line. Once you’ve narrowed down the possibilities and you’ve begun to solidify your persona, turn your attention toward costuming and equipping. Our advice to you again is to resist the urge to purchase everything you think you need. Ask your group or mentor if they may have any spare clothing or equipment you can use as you launch your historical interpretation. Once you explore the possibilities further, you may discover that there’s a different persona, activity, or even group that interests you more or is more compatible with your lifestyle. Mike portrays several personas, ranging from the mid-18th century to the War of 1812. He’s one of the nicest, most helpful persons one could possibly meet. Get out there. Don’t be intimidated by the experience or knowledge of others. View them instead as resources. Don’t be afraid that a member of the public will ask you a question that you can’t answer. Be honest about where you are in your reenacting journey. Everyone, regardless of how long they have been at it, is on the same journey. There are a few terms used in living history circles that may be helpful to understand. 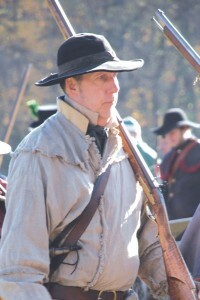 A reenactor is one who participates in the duplication of an historic event. Their interaction with the public is often limited or incidental. An interpreter is one who concerns him or herself with the pursuit of historical accuracy and actually sharing that with the public. They are generally more interactive with the public. There are varying degrees of interpretation, but broadly speaking, interpreters can be described as either first-person or third-person. fully acknowledge the present and don’t pretend to be living in the past. Third-person interpreters refer to the people they portray using third-person pronouns, i.e., them, they, their, etc. They might describe how things were done or how people acted “back then,” compared to how things are done today. First-person interpreters attempt to portray themselves as though they are from the past without context to the present. They speak using first-person pronouns, such as I, me, and we. First-person interpretation can be very challenging, and usually requires a great deal of general historical knowledge as well as an ability to think quickly in response to questions from the public. There’s no right or wrong. Pick the level of involvement with which you feel most comfortable. You can develop your persona as you grow in your knowledge and comfort level. It’s one thing to wear a pair of period-correct shoes, but it’s another thing to walk in them. Building your persona goes beyond outward appearances. As you advance in your character development and dive deeper into your research, pay attention to how the person you portray lived and what he or she did. Start asking regarding why they did what they did. Learning the mindset of an historical person is the most challenging aspect of research. Max is brand new at living history, yet, he has already managed to lure his father into the avocation as well. We naturally have a modern “perception screen” through which we interpret our experiences. It’s easy to judge the way things used to be done as being strange, silly, or even dumb. We must remember that society back then was not less intelligent than ours, they simply didn’t have the vast amounts of information we do today. Through your research, you can piece together the social, religious, economic, philosophical, political, and scientific influences that would have shaped the thinking of your character. There are endless opportunities to look at our personas and refine what we do. Questioning our preconceived notions and modern presumptions regarding our personas and the world in which they lived can be a very rewarding pastime. This is where some of the most profound learning comes from. If you’re passionate about living history, you are in good company. People from every generation and all walks of life have blazed the trail that brought us here to this very point in time. You may not have thought of yourself as a gatekeeper of our shared history, but that is exactly what we become when we embrace living history. If we agree to share freely what we learn along the way, there is no telling where the trail will lead. We don’t pretend to have all the answers or know everything there is to know about the 18th and 19th centuries. What we do know is that, no matter how long we’ve been doing this, in some sense, we are standing at the trailhead together and the journey has just begun for us all. We’re glad you decided to join us!